Although the masses and most of the financial media blame hedge funds for their exorbitant fee structure and disappointing performance, these investors have proved to have great stock picking abilities over the years (that’s why their assets under management continue to swell). We believe hedge fund sentiment should serve as a crucial tool of an individual investor’s stock selection process, as it may offer great insights of how the brightest minds of the finance industry feel about specific stocks. After all, these people have access to smartest analysts and expensive data/information sources that individual investors can’t match. So should one consider investing in Yum China Holdings, Inc. (NYSE:YUMC)? The smart money sentiment can provide an answer to this question. Yum China Holdings, Inc. (NYSE:YUMC) investors should be aware of an increase in support from the world’s most elite money managers recently. 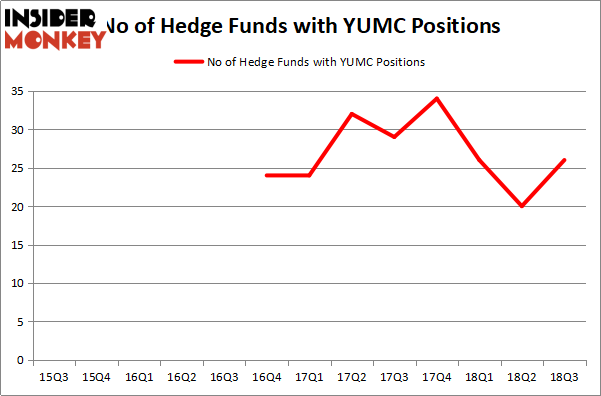 YUMC was in 26 hedge funds’ portfolios at the end of September, up from 20 at the end of the previous quarter. Still, with six more investors long the stock in the third quarter, the company wasn’t one of the 30 most popular stocks among hedge funds. To the average investor there are a large number of formulas investors put to use to grade stocks. A duo of the most under-the-radar formulas are hedge fund and insider trading moves. Our researchers have shown that, historically, those who follow the top picks of the best money managers can outpace the S&P 500 by a solid amount (see the details here). “YUMC owns 8300 quick service (QSR) restaurants across 1200 cities in China mostly under the KFC and Pizza Hut brands. 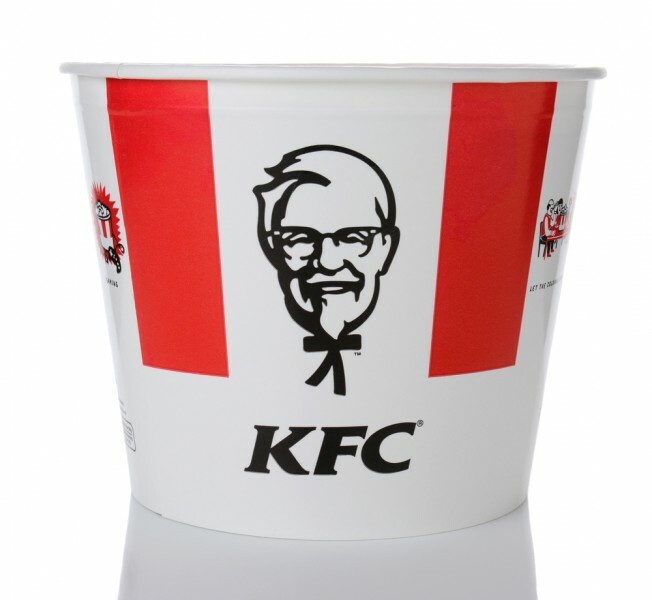 KFC is the most popular QSR brand in China thanks to its three decade presence there. Investment in new KFC restaurants have an attractive 2-year cash payback period. YUMC is also the leader in digital integration in China with over 145 million members in its digital loyalty program. Restaurant penetration and consumer spending in China continue to grow with the Chinese economy. Management believes they can reach over 20,000 restaurants, a 150% growth, in the intermediate future. Investor concerns about Pizza Hut, a trade war and a slowdown in the Chinese economy have kept the company cheap at just 9 times EBITDA, well below the multiple that peers trade for. Now, it’s time to take a gander at the latest hedge fund action regarding Yum China Holdings, Inc. (NYSE:YUMC). What does the smart money think about Yum China Holdings, Inc. (NYSE:YUMC)? At Q3’s end, a total of 26 of the hedge funds tracked by Insider Monkey were bullish on this stock, a change of 30% from the previous quarter. By comparison, 34 hedge funds held shares or bullish call options in YUMC heading into this year. With hedge funds’ capital changing hands, there exists an “upper tier” of key hedge fund managers who were adding to their holdings meaningfully (or already accumulated large positions). As aggregate interest increased, key money managers were breaking ground themselves. Southeastern Asset Management, managed by Mason Hawkins, initiated the largest position in Yum China Holdings, Inc. (NYSE:YUMC). Southeastern Asset Management had $70.2 million invested in the company at the end of the quarter. Howard Marks’s Oaktree Capital Management also made a $21.6 million investment in the stock during the quarter. The other funds with brand new YUMC positions are James Dinan’s York Capital Management, and Mark Kingdon’s Kingdon Capital. Let’s also examine hedge fund activity in other stocks similar to Yum China Holdings, Inc. (NYSE:YUMC). We will take a look at Raymond James Financial, Inc. (NYSE:RJF) and Hasbro, Inc. (NASDAQ:HAS). This group of stocks’ market caps resemble YUMC’s market cap. As you can see these stocks had an average of 27 hedge funds with bullish positions and the average amount invested in these stocks was $852 million. That figure was $387 million in YUMC’s case. ATUS is the most popular stock in this table. On the other hand TLRY is the least popular one with only 9 bullish hedge fund positions. Yum China Holdings, Inc. (NYSE:YUMC) is not the least popular stock in this group but hedge fund interest is still below average. This is a slightly negative signal and we’d rather spend our time researching stocks that hedge funds are piling on. In this regard ATUS might be a better candidate to consider a long position. Molson Coors Brewing Company (NYSE:TAP): Are Hedge Funds Right About This Stock... Is Sony Corporation (NYSE:SNE) Going to Burn These Hedge Funds? Here is What Hedge Funds Think About Kennedy-Wilson Holdings Inc (NYSE:KW) Honeywell International Inc. (NYSE:HON): Are Hedge Funds Right About This Stock... Is Oracle Corporation (NASDAQ:ORCL) A Good Stock To Buy? Is Newmont Mining Corp (NYSE:NEM) A Good Stock To Buy?